Banke, 5 February : A person was killed when he came under the attack of a Royal Bengal Tiger at Badjaiyatal rural municipality-2 of Bardiya district. The victim is 71-year-old Chandra Bahadur Shahi. 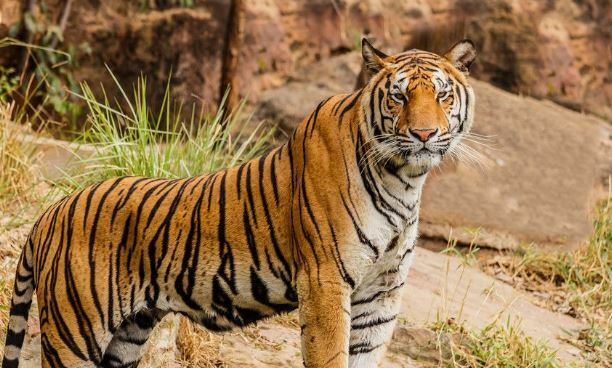 Thirty-year-old Bijaya Budha from the same locality has been injured by the tiger believed to have come from the jungle across the border with India. Budha has sustained injuries to his head, back and neck due to the tiger’s mauling. Both Shahi and Budha, severely injured in the tiger attack, were brought to the Nepalgunj Medical College Teaching Hospital for treatment. But Shahi died in course of treatment. The Royal Bengal Tiger had attacked the two on Monday evening near the bridge on the way to Sitapur from Gaughat, in-charge of the Police Post Jamuni, Sub-Inspector Lokendra Karki said. The tiger had pounced on Budha immediately after attacking Shahi, according to Ganesh Rai, a local.